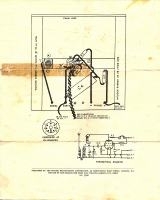 Within a few days of the start of the Studio ‘E’ one-valve radio construction series (30 September 1957), the BBC received over 26,000 requests for leaflets. Have they all disappeared? No! In May 2011, 14 months after this site was launched in its original form, Doug Brown googled his way to it "on a whim" and contacted me with scans of his leaflet. With his permission and that of the BBC, they are available at the bottom of this page for your personal non-commercial use. Enjoy! This page begins, though, with an image of what is clearly a Studio ‘E’ prototype. Image from dust jacket of Fun with Radio, 4th edition, 1965 (enlarged and enhanced). Site author's copy. With acknowledgments to Claire Davey. Other rights may subsist. A Davey Studio ‘E’ prototype? 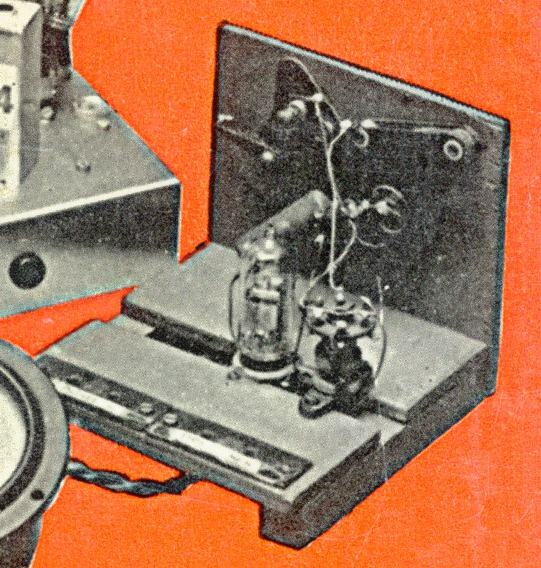 This image, a little over 1 1/2 inches tall, appears as part of a photo-montage on the dust-jacket of Fun with Radio, 4th edition (1965), but there is no reference to the image within the book, which contains the usual (inverted tray) version of the Beginner's One-Valver. 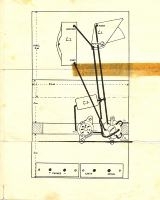 This is clearly a Studio ‘E’ prototype, and the resemblance to the drawings in the BBC leaflet (see below) is so striking that it is tempting to think that this image is of either the prototype that served as the basis for the drawings, or possibly the set that Gilbert Davey built in the studio during the live broadcasts. It shows a Teletron coil and large grid capacitor, positioned and wired as in the leaflet, and long (2-inch?) terminal strips secured at their outer ends with wood screws as the leaflet suggests. A high proportion of those 26,000 leaflets probably only survived a few months or years before being destroyed. It needs more of a sense of history to preserve such ephemera than most children - or even adults - have. So three cheers to Doug Brown for preserving his copy! Who knows how many other copies remain hidden away, forgotten by those that possess them? The leaflet is a single sheet, 16 inches x 10 inches, folded at the centre to form a four-page leaflet 8 inches by 10. 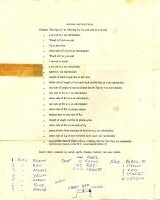 Doug Brown's copy (images accessible below) is torn, disfigured with Sellotape adhesive and other stains, and carries his uncle's notes on the resistor colour code. The scans are unretouched, entirely legible, and full of character! The relevant editions of the Radio Times show that the series was broadcast in six parts, the first aired on 30 September 1957. After a two-week pause, five more parts followed from 21 October to 18 November. The leaflet itself, no doubt prepared some time in advance, states that the series was to be in four parts commencing on 21 October and concluding on 11 November. The Radio Times listings are undoubtedly correct, as it was - and still is - printed and distributed very shortly in advance in order to reflect last-minute schedule decisions. These listings are borne out by the programme scripts preserved by Gilbert Davey, and allow us to make a good guess at the content of each part of the series - see The Studio ‘E’ Scripts. With acknowledgments to Claire Davey. 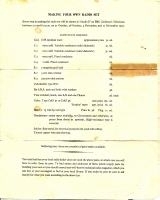 This duplicated letter, preserved by David Mercer, confirms that the supply of leaflets had run out quickly after the series finished in November 1957. Davey seems to have played as full a part in dealing with the correspondence arising from his broadcast appearances as with that from his written articles. His crossings-out suggest that he was still dealing with leaflet requests in late December or into the New Year. Another print run to mop up the tail-enders was evidently out of the question. With no photocopiers then, it was not even possible to run off a few on demand, so Davey takes the opportunity to "soft-sell" his new book, Fun with Radio. 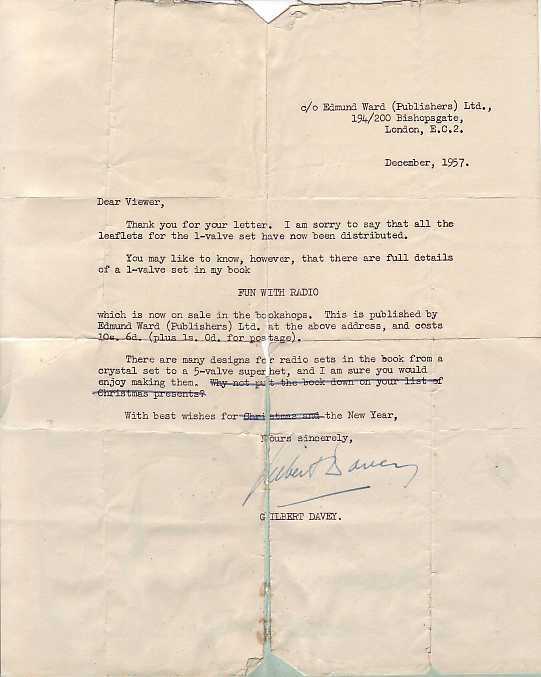 You can imagine the intense disappointment of an 11-year-old at being told that that all the Studio ‘E’ one-valve leaflets had gone, but it was tempered by equal excitement at receiving a letter from the great man! The detector-with-reaction circuit is essentially the same as other versions of the Davey Beginner's One-valver. Apart from the first (1948) triode version, they all used one or other of the miniature B7G 1.4 volt types. The Teletron coil and the tuning, reaction and fixed capacitors are typical of several versions. On THE BEGINNER'S 1-VALVER page, I discuss the circuit in a little more detail. On the same page, I also speculate that the useful split-floor construction of the Studio ‘E’ chassis may have been adapted from a design for a short-wave one-valver which appeared in the first edition of Fun with Radio (page 59). This feature would have contributed towards ease of construction for the many first-time builders who followed the series. Now that the leaflet is to hand, it can also be seen that the component layouts are strikingly similar. PDF file: (You need Acrobat Reader installed on your PC.) File size is 1.6Mb, and a broadband connection is recommended. Some extra compression has been applied to the images within this file to keep its size down. Click the icon to download the PDF file. If Acrobat Reader opens within your browser, use the "Back" button to return to this page when download is complete. If Acrobat Reader opens in a separate window, close that window to return to this page. All four images are positioned within the file so that when printed on one sheet of A3 paper, the pages appear in order (pages 1 and 4 on one side; pages 2 and 3 on the other). Having printed the file on to A3 paper, you can then trim off the blank paper round the edge, leaving a sheet about 16" x 10". Fold this in half to form a full-size four-page leaflet. If A4 paper is the largest your printer can handle, it is probably easiest to use the individual JPEG images below. JPEG page images: High-resolution files, each about 2000 pixels by 1600. Exactly as supplied by Doug Brown, unretouched, but with just a little compression for reduced file size without significant additional fringeing etc. Click any of the thumbnails below for access to individual page image files (each 126 - 143kb). Each will be displayed on its own in your browser. Do not be disappointed by their initial appearance - your browser will downsample the displayed screen image to fit the window. Use your browser's "Back" button to return to this page. Printing depends on the capabilities of your image software and your printer. For full-size printouts, size each image so as to occupy the full width of a "portrait" A4 sheet, leaving an inch or so at top and bottom. You could tape together two A4 sheets (each printed both sides) to form a four-page leaflet. series, September - November 1957. Studio ‘E’ leaflet, Page 1. Studio ‘E’ leaflet, Page 2. Studio ‘E’ leaflet, Page 3. Studio ‘E’ leaflet, Page 4. CONTACT ME My thanks go to the BBC for their permission to reproduce the leaflet, and also of course to Doug Brown for contacting me and allowing me to use his scans. I would be delighted to hear about your rebuild of the Studio ‘E’ one-valver from the leaflet's details, and I would still like to know of any other leaflets that come to light!